An educational travel program abroad offers students both immediate and lifelong benefits. As the teacher who makes it happen, you want to ensure your students get the most out of their experience. Like you, we focus on education! Not only do WorldStrides Tour Directors take care of all aspects of your on-tour experience, they’re also dedicated to student engagement and experiential learning. From organising check-in processes to ensuring students have everything they need each day, Tour Directors will keep the group organised and on-schedule. We recruit and train specialists who understand the many components that make a school tour successful and make it happen. Teachers love Tour Directors because their expertise ensures that maximum time and focus is on learning! Teachers shouldn’t have to do homework to prepare for their trip. It’s no wonder that teachers love Tour Directors, because teachers enjoy learning too! WorldStrides Tour Directors are passionate about travel and have an intimate understanding of the destinations you’re visiting. This local expertise enables them to offer fascinating and informative commentary on the sights and areas you and your students will encounter and unique insights into the local culture, history and traditions. 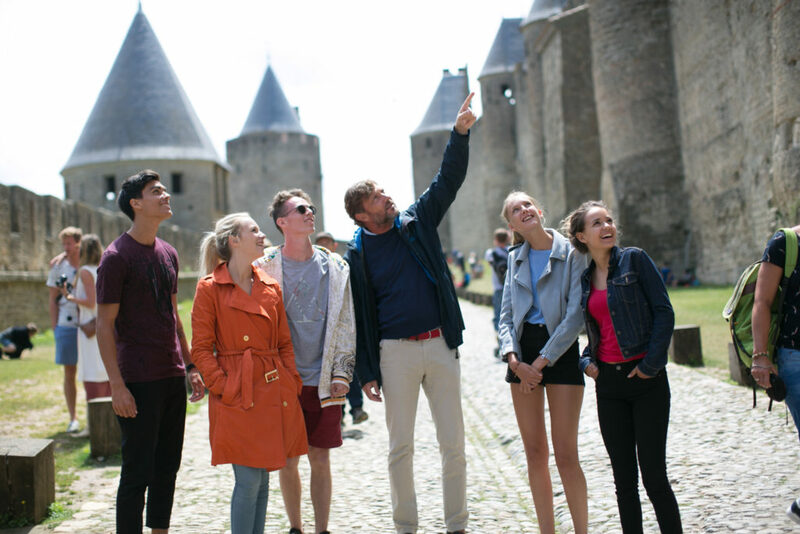 To learn more about how your international school tour will benefit from a tour director, speak with our educational travel specialists today.